QUITO, Ecuador (AP) — Ecuador’s President Lenin Moreno on Monday suspended his vice president, who faces allegations that as a congresswoman she took kickbacks from a staff member. 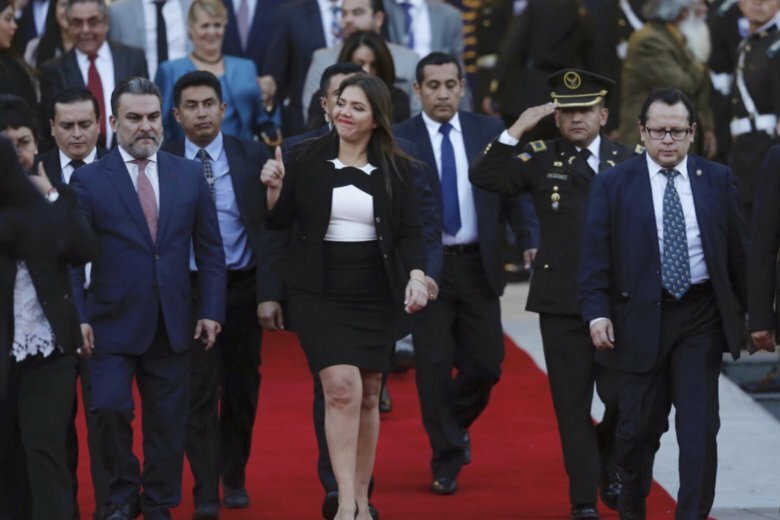 The removal of Maria Alejandra Vicuna came after she requested an unpaid leave of absence until January so she could prepare her defense in a probe started last week by Ecuador’s chief prosecutor. She said she was doing so as not to interfere with government work. Moreno said a top aide, Jose Briones, would occupy the vice presidency, but gave no indication for how long. Briones is Ecuador’s third vice president since Moreno took office last year. The president’s running mate, Jorge Glas, was stripped of his duties after he was jailed and later convicted of orchestrating a plot to demand millions of dollars in bribes from Brazilian construction giant Odebrecht during the leftist government of President Rafael Correa. Both he and Moreno served as Correa’s vice president. Last week, a government opponent accused Vicuna of receiving regular payments of between $300 and $1,400 from an aide between 2011 and 2013, when she was a lawmaker aligned with the ruling party. Vicuna has acknowledged receiving deposits from a staffer, but said they were not mandatory kickbacks. She said the former aide turned against her with what she called slanderous accusations after she rebuffed repeated requests since September to name him to a government position. Moreno has been trying to clean up Ecuador’s reputation for corruption in the wake of graft scandals that have come to light in the aftermath of Correa’s decade-long rule.